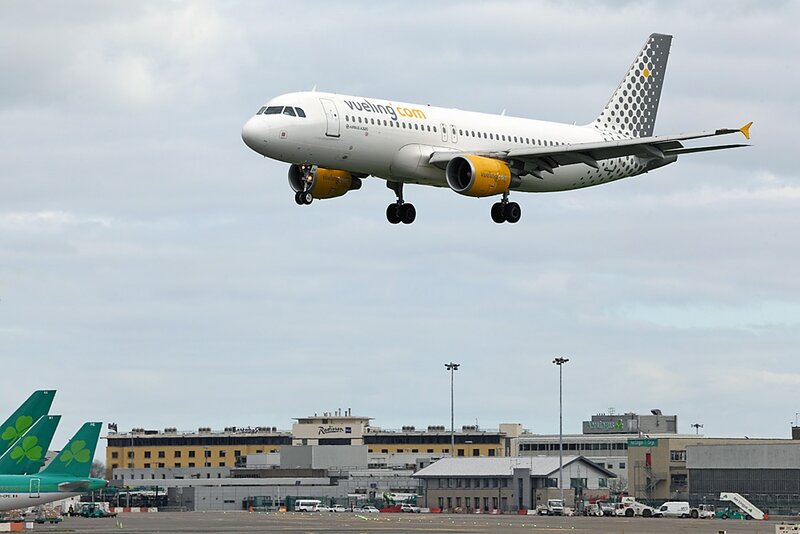 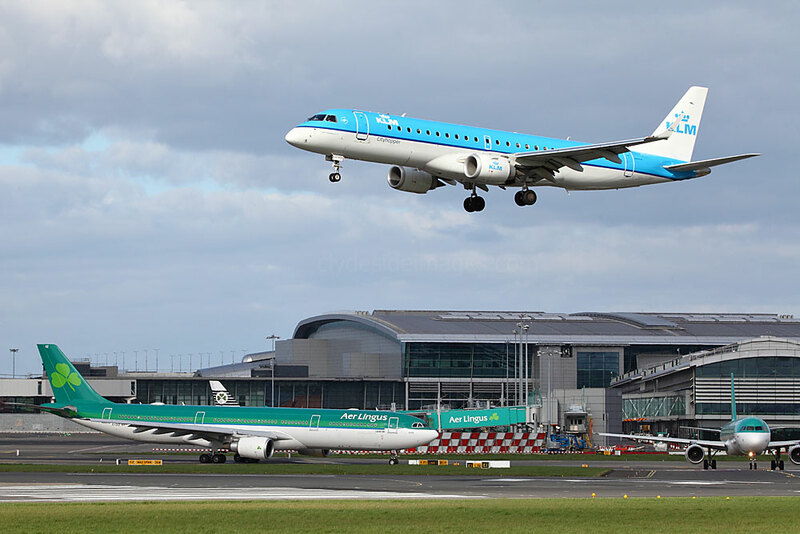 Dublin International has become one of the fastest-growing airports in Europe and although there are no official spotting facilities within or outside the complex, there are various locations around the perimeter which offer good views of the action and decent photographic opportunities. 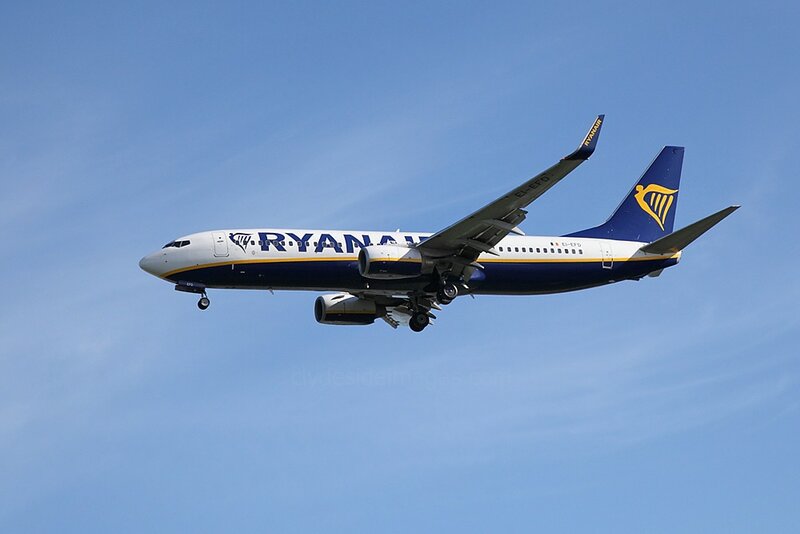 With a flying time of just 40 minutes from Glasgow, I took the chance to check this out and had a day there in April 2017 courtesy of an early morning Ryanair flight. Dublin Airport has has two runways: 10/28 and 16/34, with Runway 10/28 usually in use. 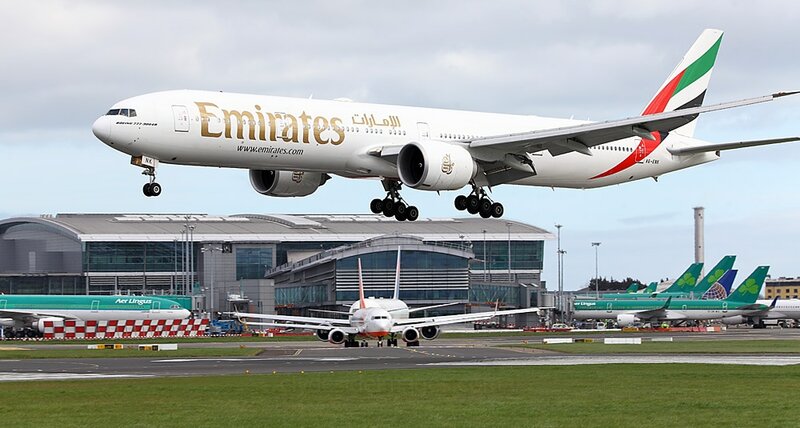 Most of the time landing traffic will approach from the east, over the coast and use 28. 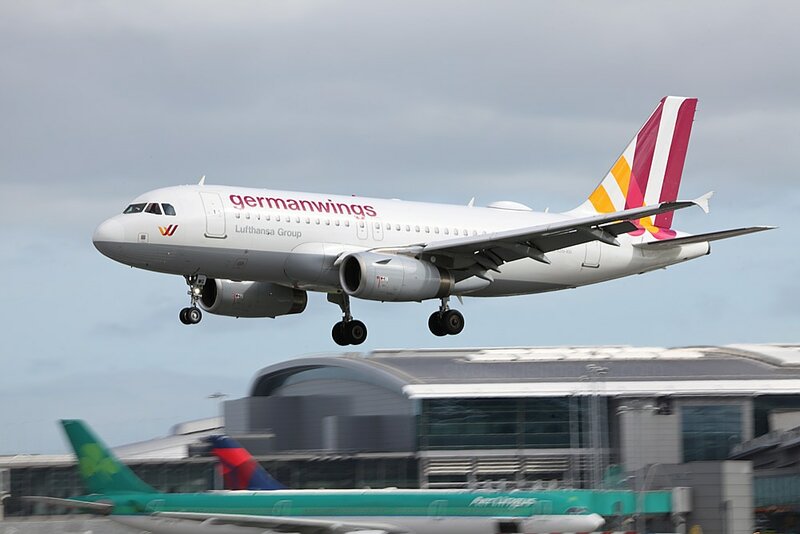 It`s less common to see aircraft on Runway 16/34 as this is only used when the wind direction, particularly in gusty conditions, could adversely affect landings and take-offs on 10/28. 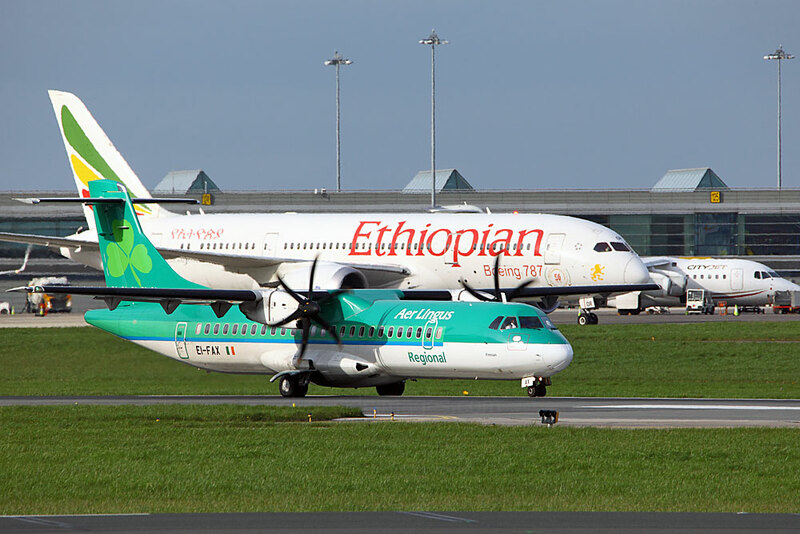 The above shot of Etihad Airbus A330 A6-EYP was taken from the terminal, just after the security checkpoint in Departures. 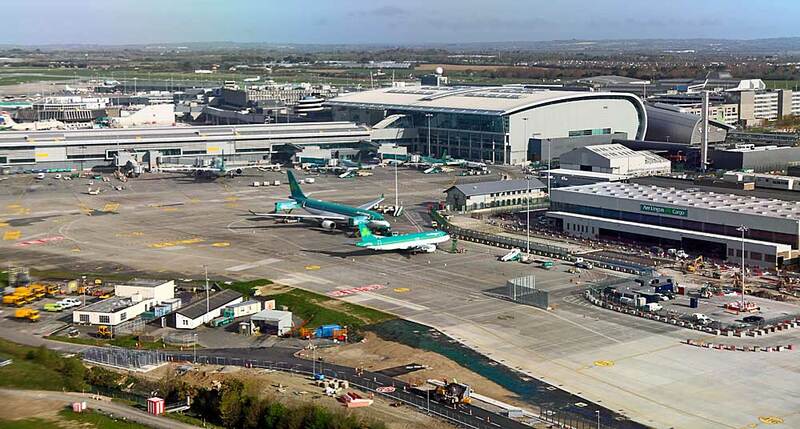 ​The Radisson Blue Dublin Airport (right) is reputedly the best hotel for watching movements if Runway 28 is in use, or if planes are using the new international pier. Limited photography may be possible from some of the higher front rooms but a long lens would be needed. The taxiway running parallel with Runway 10/28. 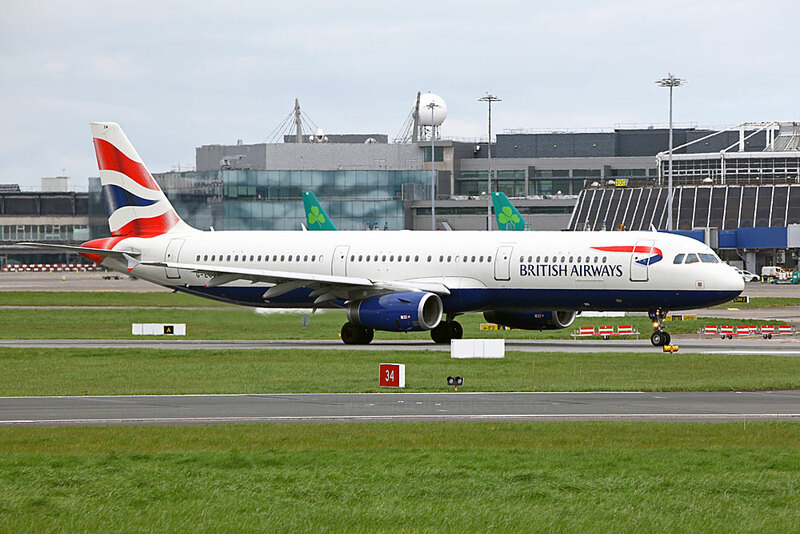 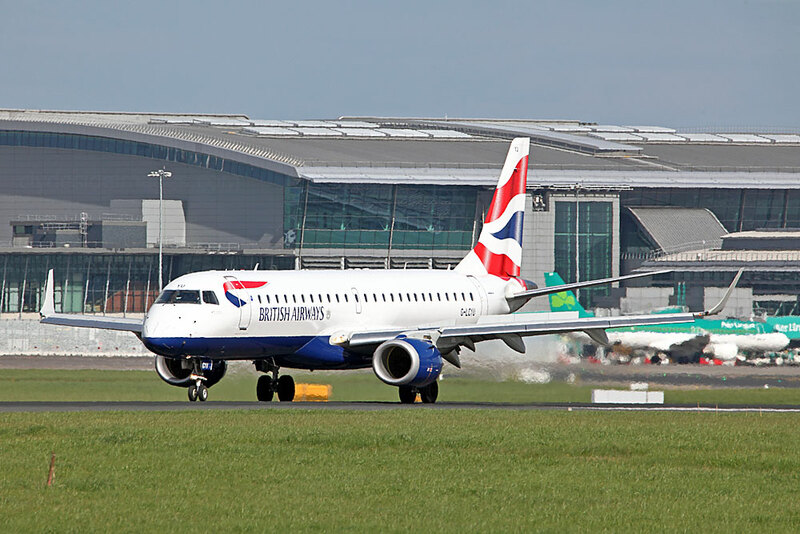 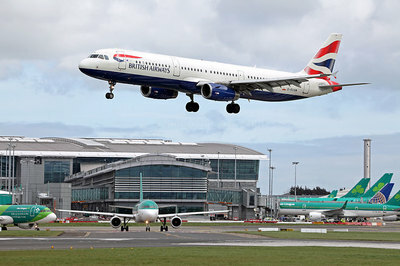 Although Ireland is much smaller than the UK area-wise, Dublin Airport ranks as the third-busiest in the British Isles including the Irish Republic, behind London Heathrow and Gatwick. 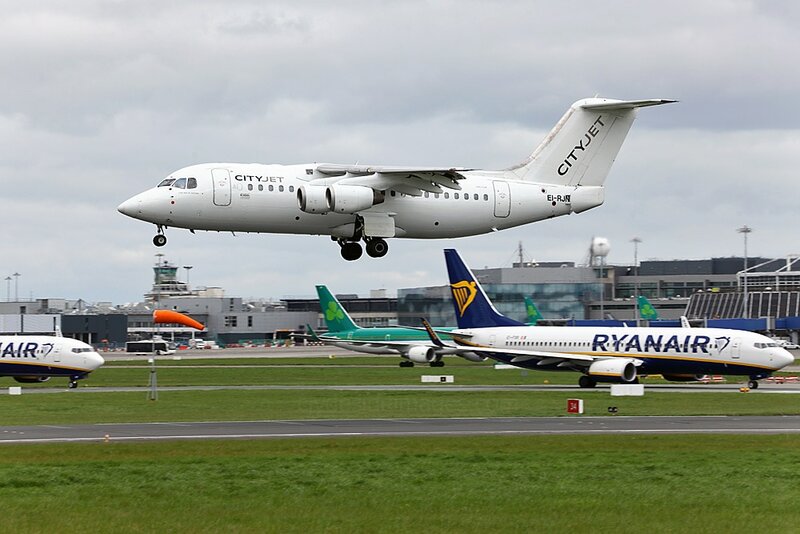 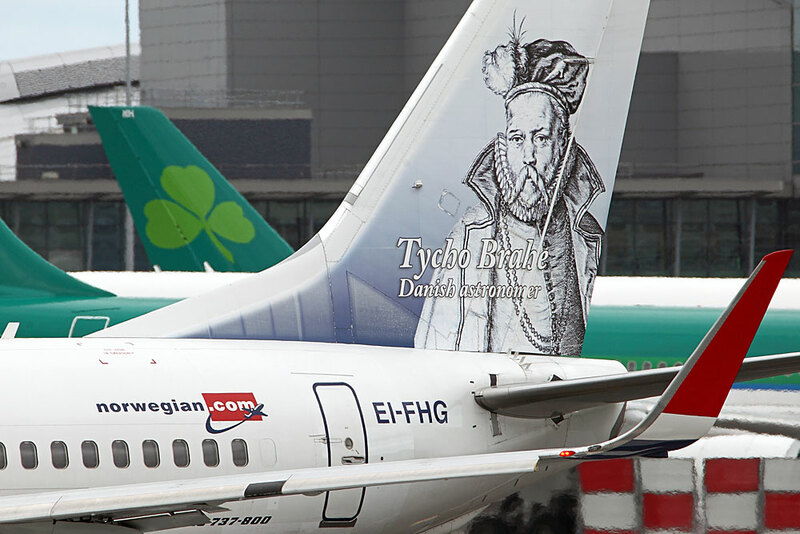 Ireland has far fewer airlines than Great Britain, so it`s no surprise that Aer Lingus, including the turboprops of its Regional branch and Ryanair 737s make up around 70% of movements at Dublin. 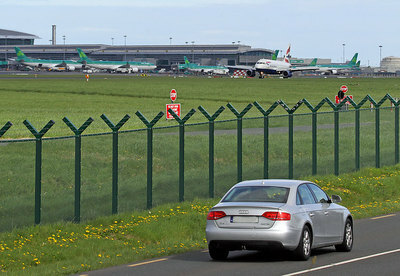 A busy 2-lane, single-carriageway road follows the southern perimeter of the airport, along the length of Runway 10/28, and although there are several raised spots dotted along its length, parking is limited. 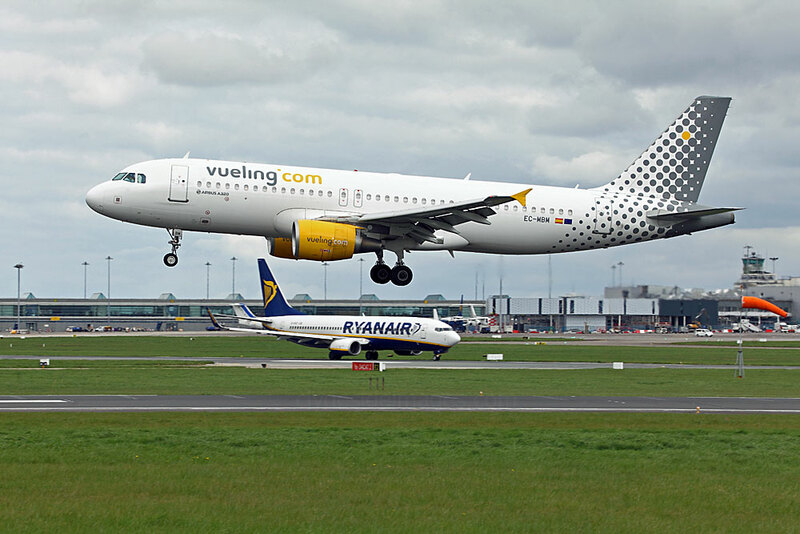 ​From the terminal, it took me 25 minutes to walk to the most easterly, and largest spotting mound which is the best place to be if the planes are using runway 28. 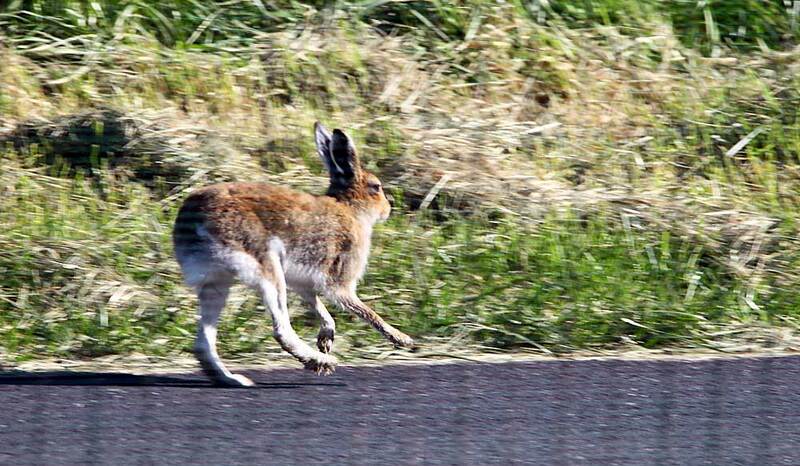 The perimeter fence is made up of very small metal ​rectangles and even using a fairly wide aperture, shots taken through the mesh are likely to be adversely affected, as illustrated by this shot of one of the resident hares. 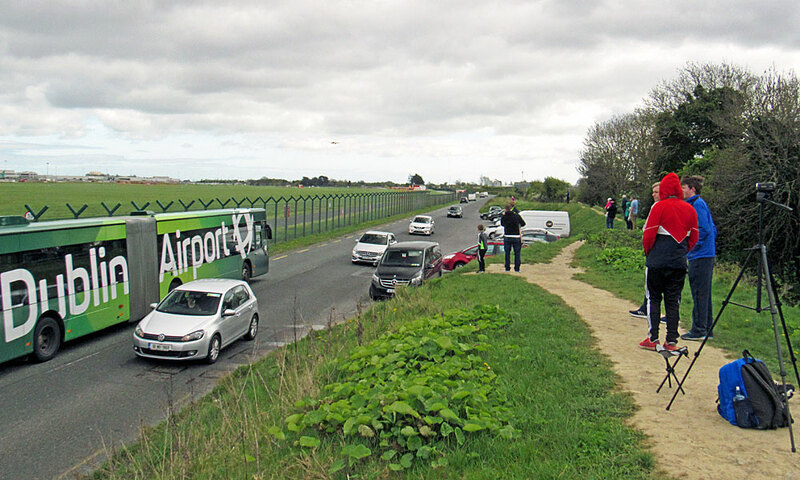 The mounds, or embankments to be more accurate, are exposed to the elements with no shelter whatsoever and soon become muddy if it starts to rain. 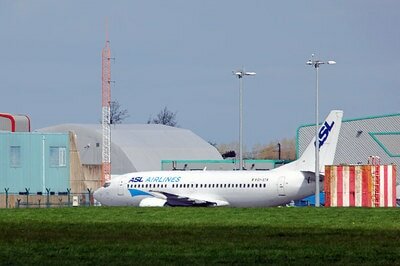 Plus, there are no facilities nearby but fortunately, I was lucky with the weather. 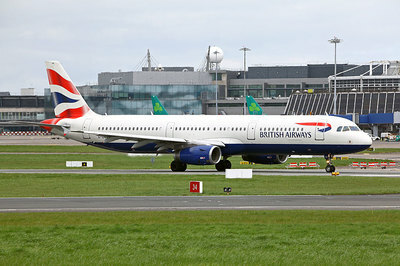 The raised ground here enables photographers to obtain good shots of taxiing or rolling aircraft but a pano-crop may be needed to exclude the top of the metal posts. 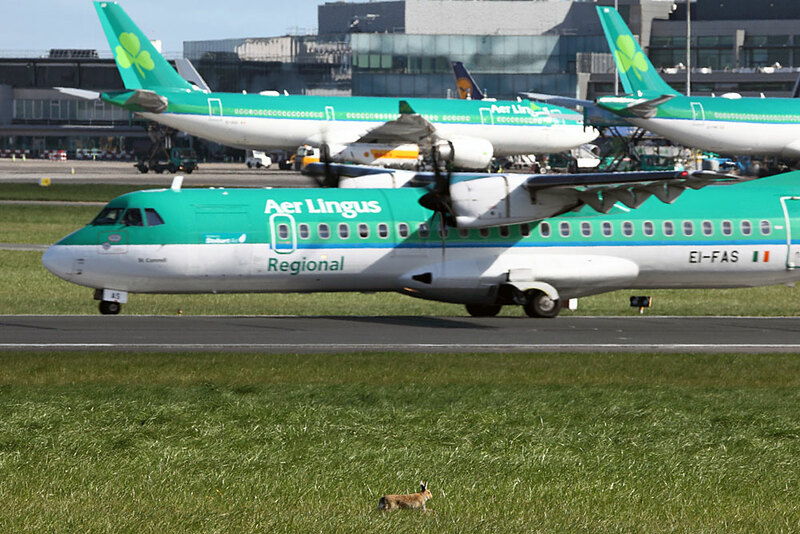 Some locals use small 3-step ladders to do away with this problem. 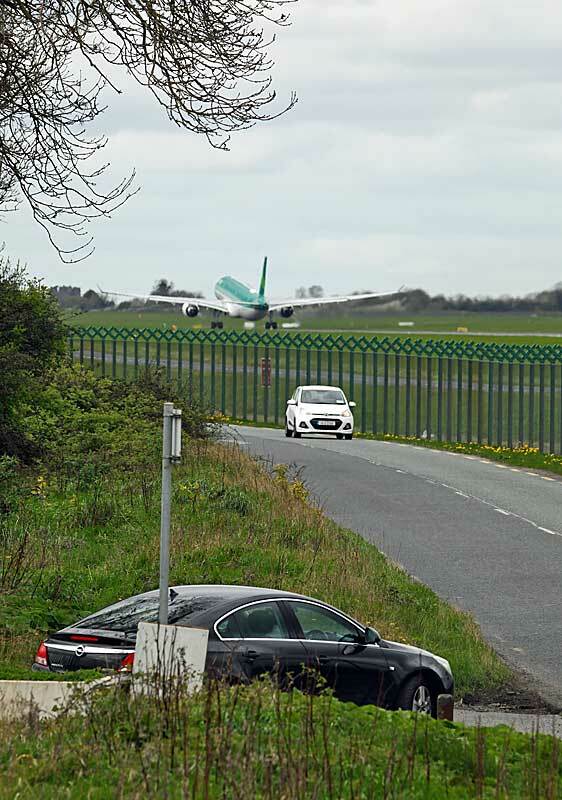 The top of the fence isn`t the only thing to consider - the road gets badly congested at peak periods and passing trucks and buses can end up in the frame! 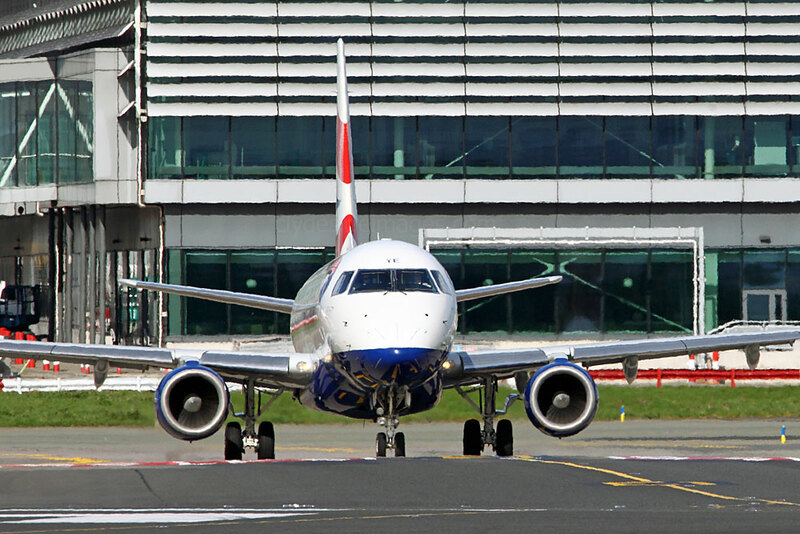 If you have a few in a row, you might miss your shot! 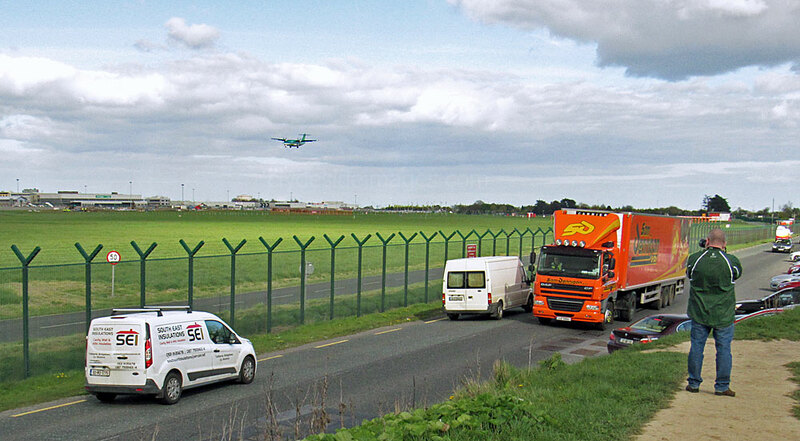 Car transporters are the worst! 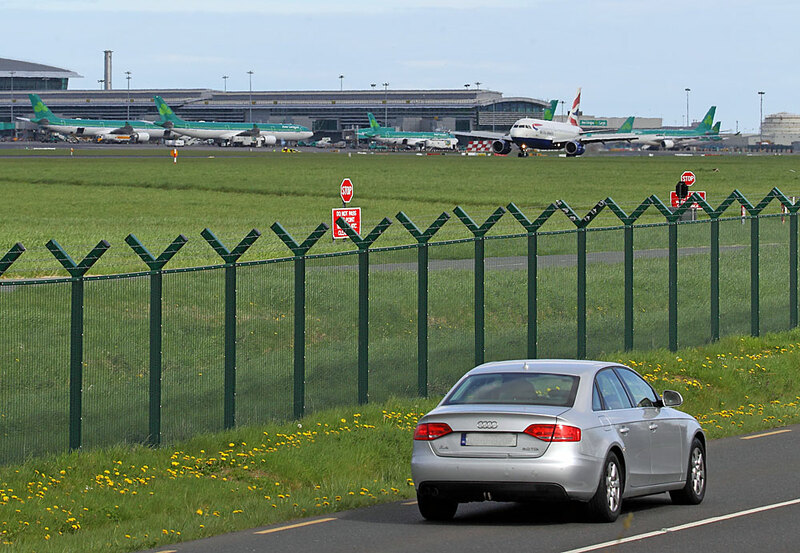 If you continue walking west along the fence line for around 15 minutes, you come to the long stay car park with embankments on either side of the entrance. 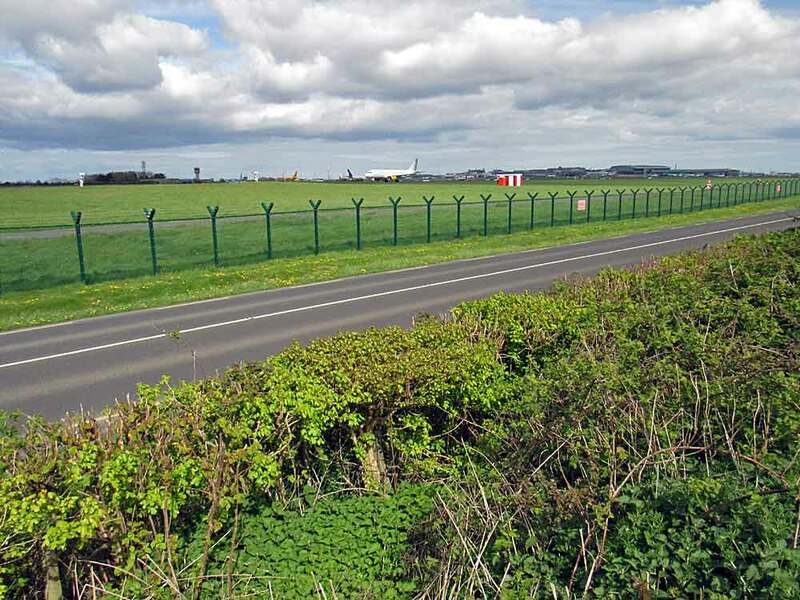 The `mounds` are lower here, there`s less room to stand and there`s far more vegetation which will get worse as the summer goes on. 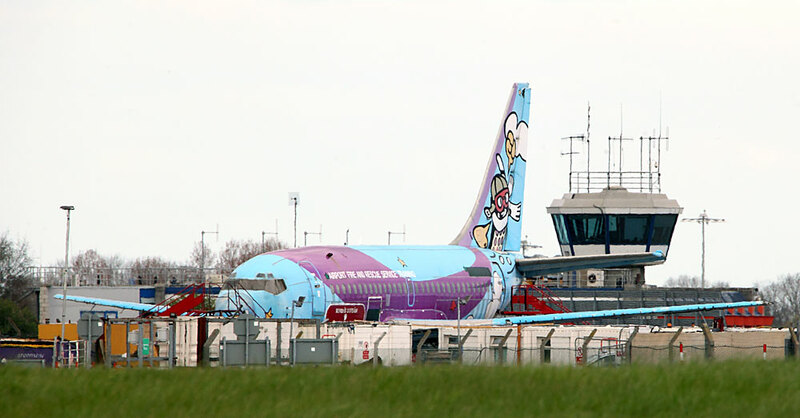 This may be a better option if the planes are landing on Runway `10` but I made my way back to the first spot after a few take-off shots. 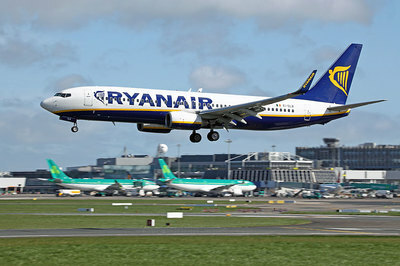 Boeing 757-2Q8(WL) EI-LBT is pictured above. 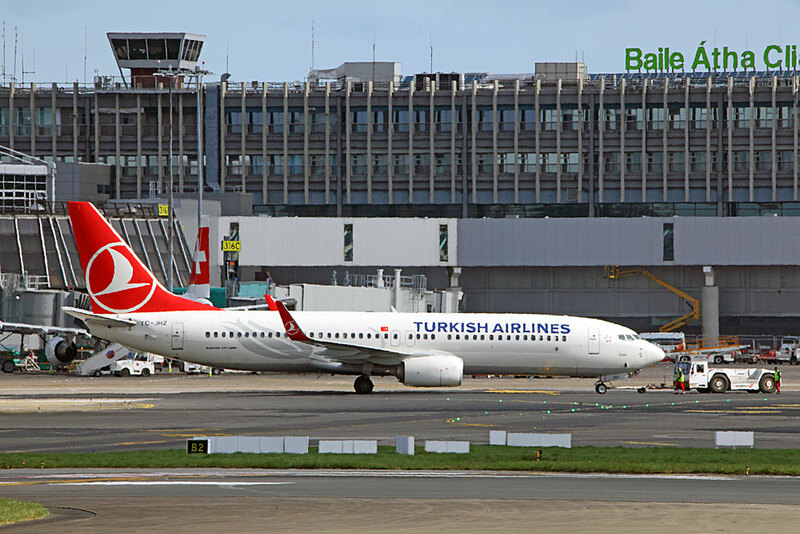 There are strong ties with the United States of America and the US Preclearance (USCBP) facility at Terminal 2 is a purpose built facility that allows US bound passengers to undertake all US immigration, customs and agriculture inspections at Dublin Airport prior to departure. 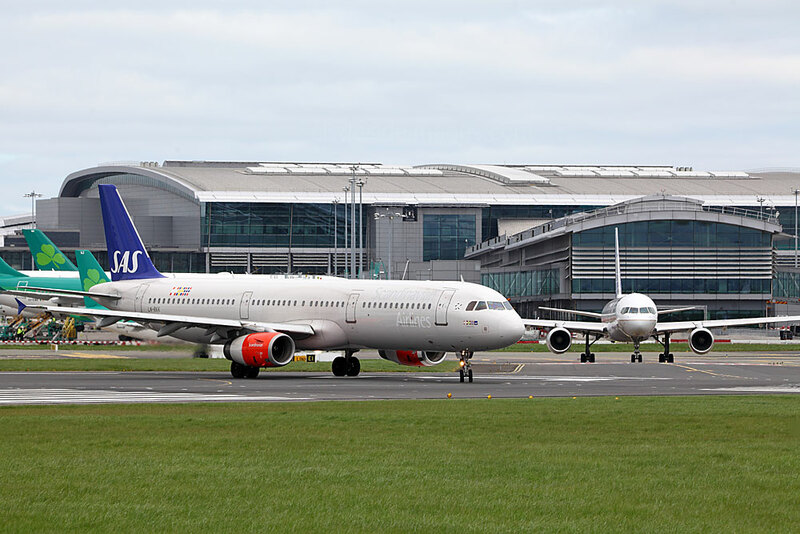 Dublin is one of only a handful of airports outside North America that offers this facility. 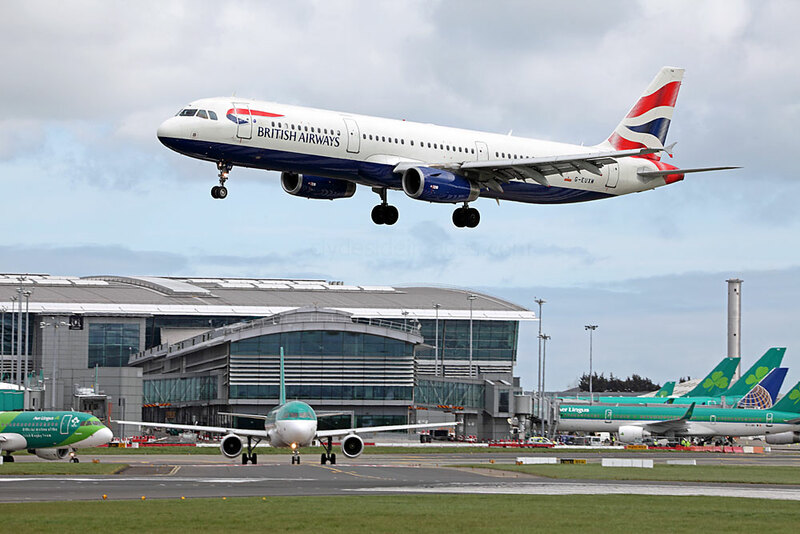 The benefit is that having cleared USCBP, passengers arriving in the US are treated as domestic arrivals, allowing them to avoid immigration queues upon arrival and pick up their bags and go. 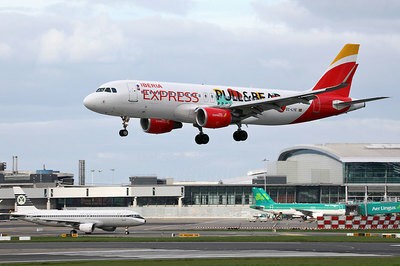 In addition, this benefits onward connecting passengers in the US who will have their baggage checked through to their final destination. Airbus A330-302 N830NW and Boeing 767-432(ER) N830MH of Delta Airlines both departed around midday. Flashback to the Sixties: The airline`s retro-liveried Airbus A320-214 EI-DVM. 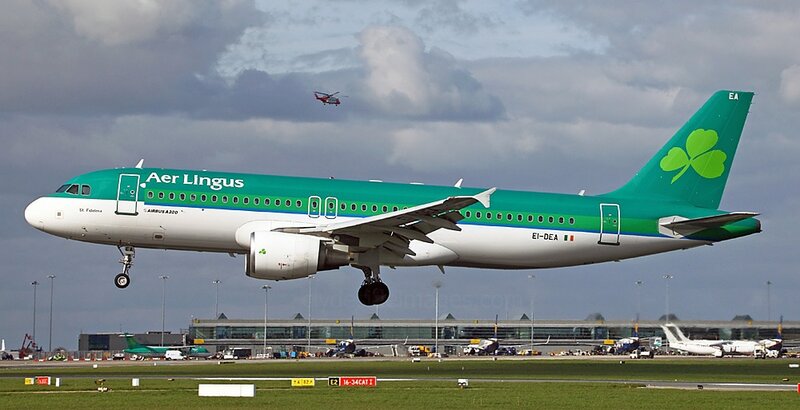 The name Aer Lingus is an Anglicisation of the Irish aerloingeas meaning "air fleet". 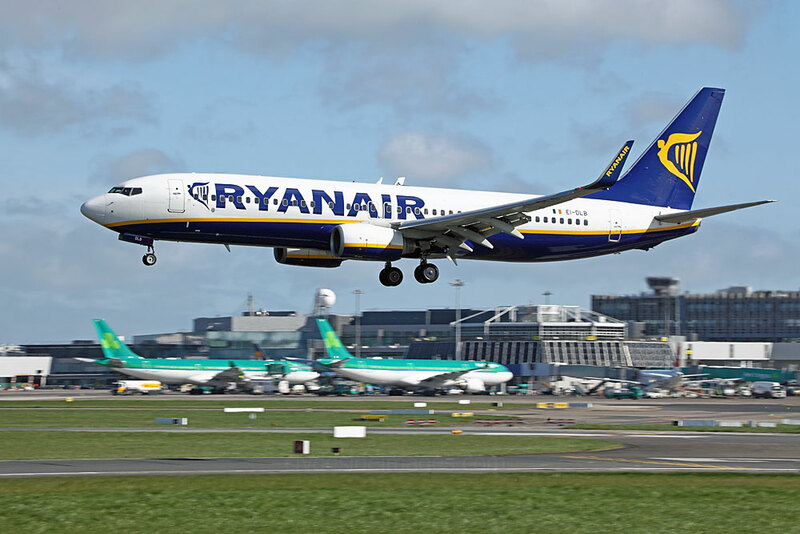 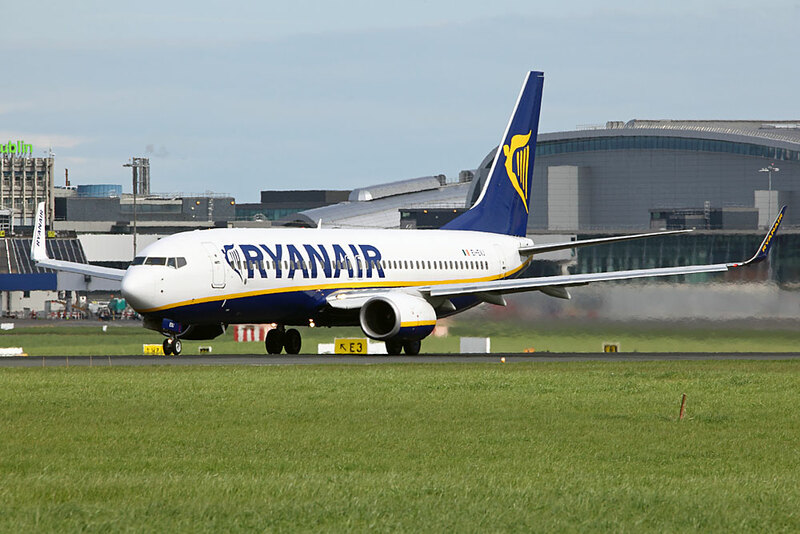 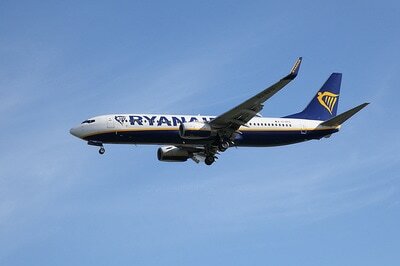 The airline, whose origins date back to 1936, is the country`s flag carrier but not the largest with Ryanair operating far more aircraft. 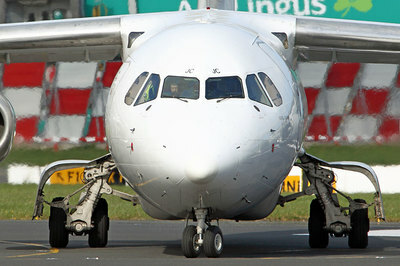 The low-cost operator once held an almost 30% stake in Aer Lingus. 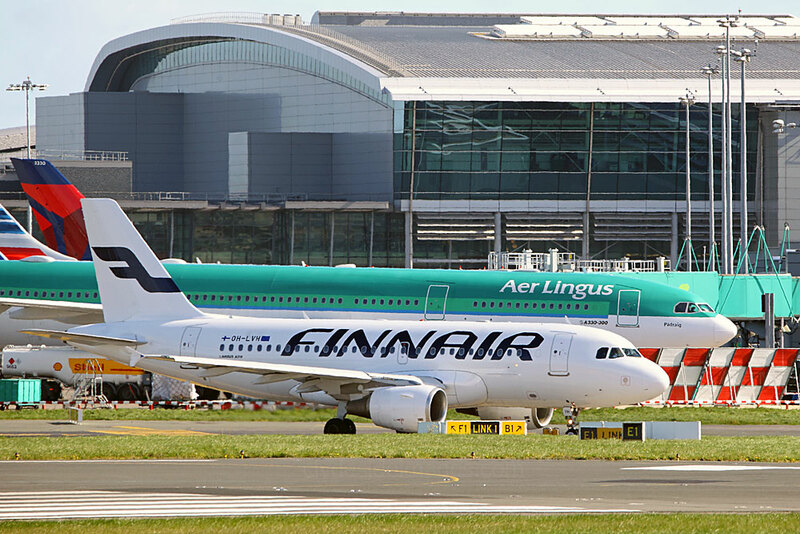 Founded by the Irish government, Aer Lingus was privatised between 2006 and 2015 and is now a wholly owned subsidiary of International Airlines Group (IAG), the parent company of British Airways and Iberia. 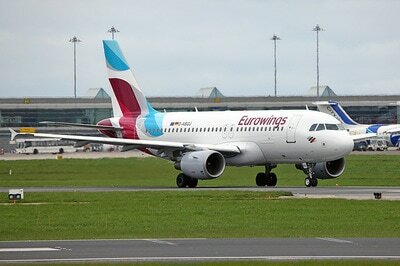 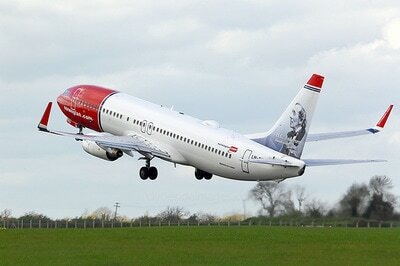 ​The bulk of the fleet is made up of almost 40 Airbus A320 and A321-200s. 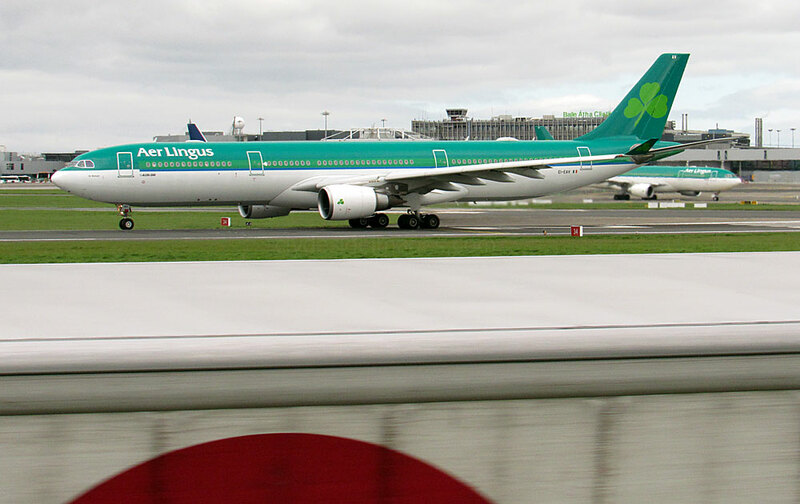 The four Airbus A330-200s including EI-EWR (above) have the longest range capability in the Aer Lingus fleet. 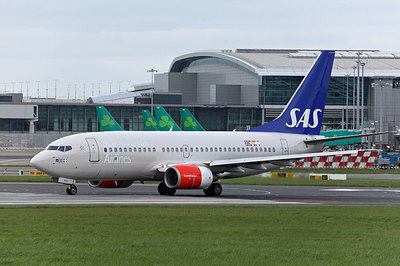 They fly on all Transatlantic operations but with particular frequency on the Dublin to Los Angeles and Dublin-San Francisco routes. There are also six A330-302s including EI-FNG (below). 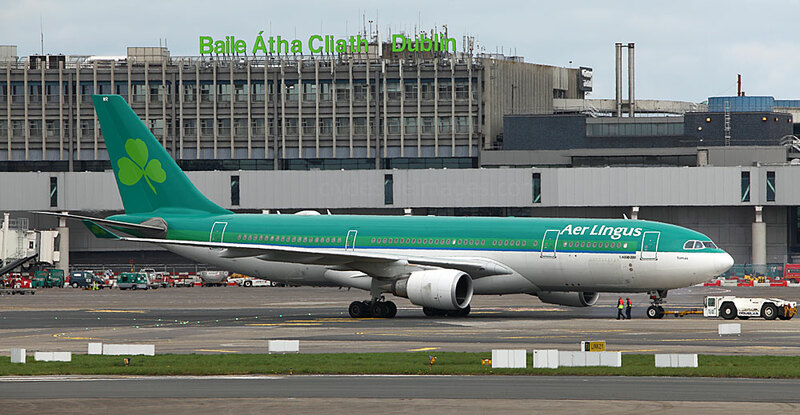 Aer Lingus also currently operates four Boeing 757s: EI-CJX which is a 757-2YO leased from ASL Airlines Ireland and three 757-2Q8s leased from Air Contractors. 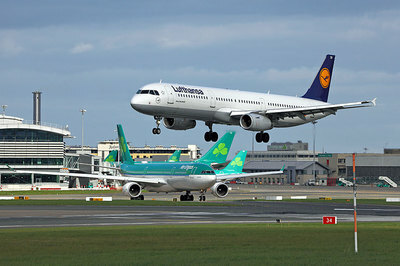 These aircraft are EI-LBR (pictured below right), EI-LBS and EI-LBT. Aer Lingus Regional offers commuter and regional flights which are operated by Stobart Air on behalf of the larger airline. Aer Lingus Regional operates scheduled passenger services primarily from Ireland to the UK, France and the Channel Islands with its bases at Cork and Dublin airports. 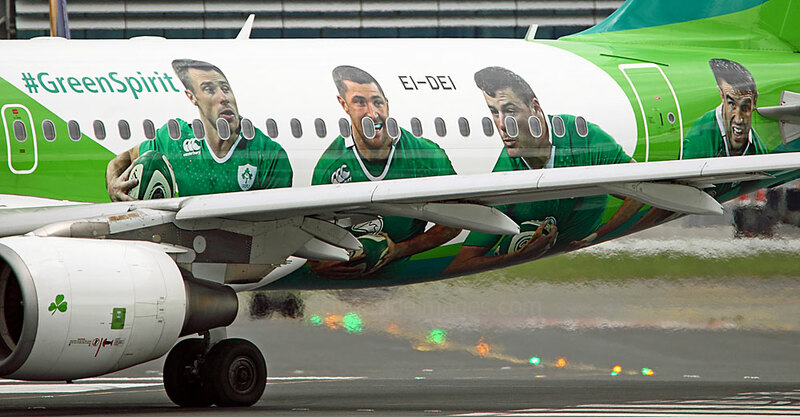 As well as their Retro-liveried airliner, Aer Lingus have a pair of Airbuses supporting the Irish International Rugby Team. 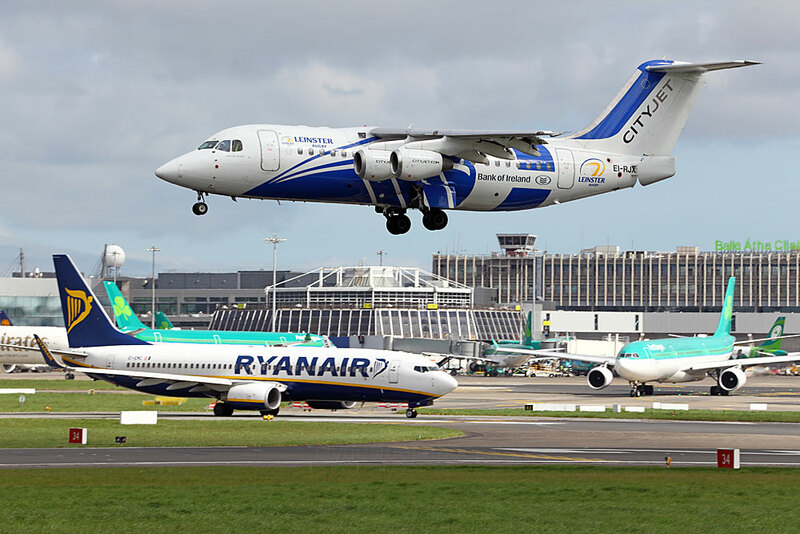 Above: ​Cityjet BAe Avro RJ85 EI-RJU and Ryanair 737 EI-EBH. A gaudily painted ex-Ryanair 737 is used for Fire Service training. 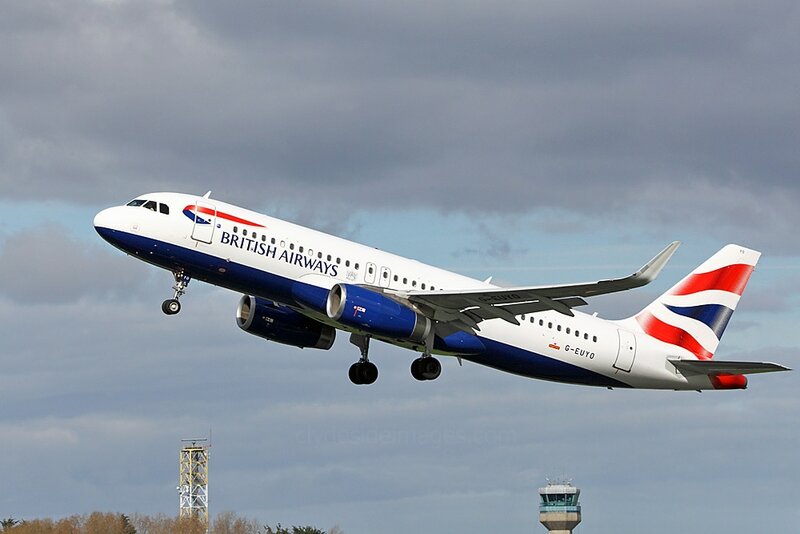 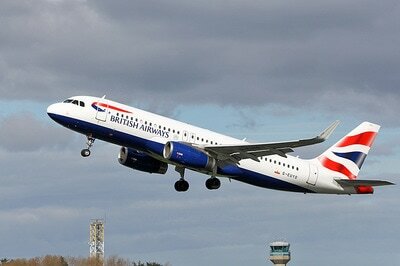 One of British Airways` Olympic Doves: Airbus A319-131 G-EUPH. 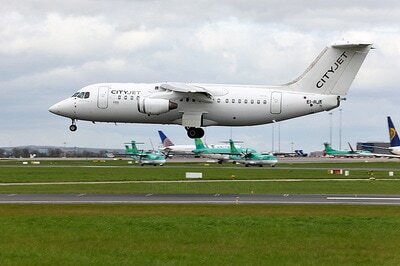 Flybe Dash 8 G-JECN seconds from touchdown. 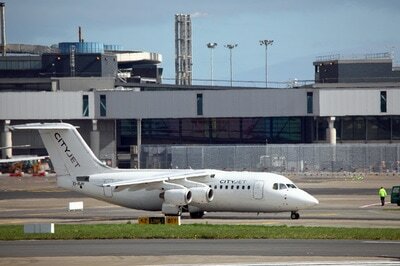 The only Loganair aircraft seen during my visit was Saab 200 G-LGNT, visible in the background. 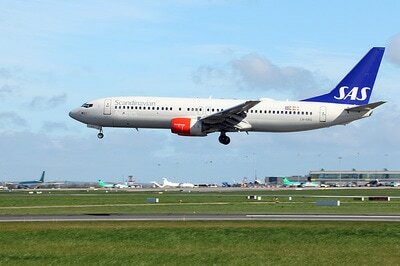 Airbus A321-211(WL) TF-JOY of Icelandic operator WOW Air. One of only a handful of cargo aircraft present, Airbus A300B4-622R(F) D-AEAS of EAT Leipzig (DHL) is seen here being loaded up on the afternoon of 10 April. 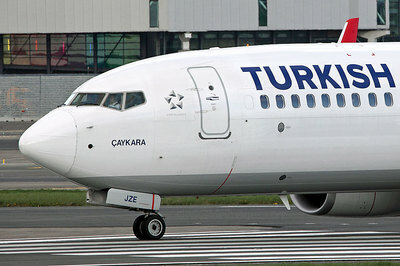 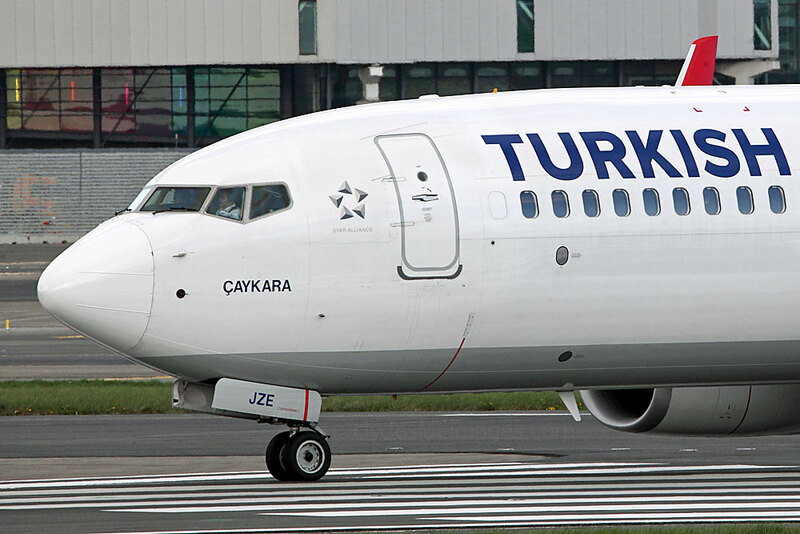 Boeing 737-8F2(WL) TC-JZE of Turkish Airlines. 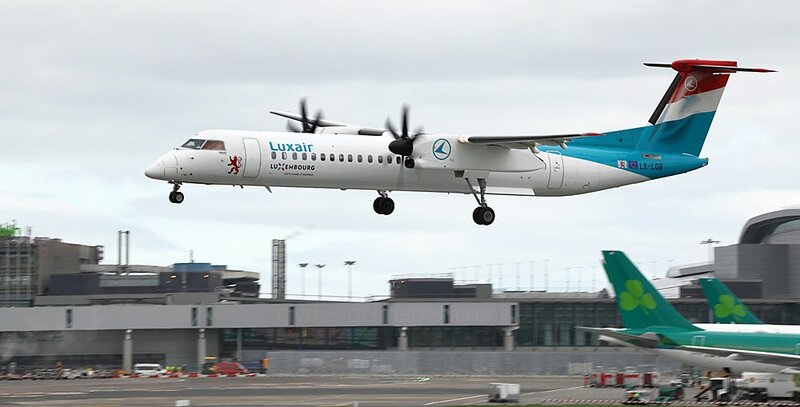 DHC-8-402Q Dash 8 LX-LOB Luxair. 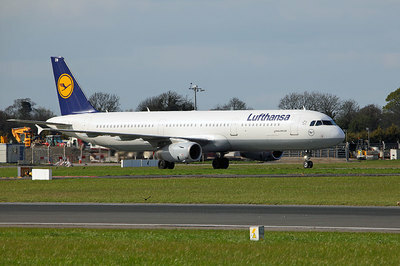 Swiss Airbus A321-212 HB-IOM about to touch down on Runway 28 mid-morning. I took this shot of United Airlines Boeing 757-224(WL) N12114 from my plane as we taxied to the terminal after landing. 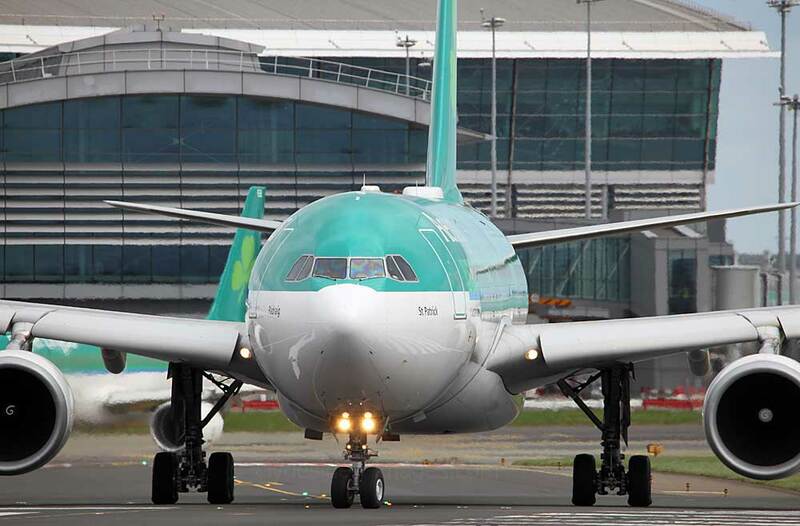 Airbus A300B4-622R(F) N724FD Federal Express (FedEx) took off around 18:45 hrs. 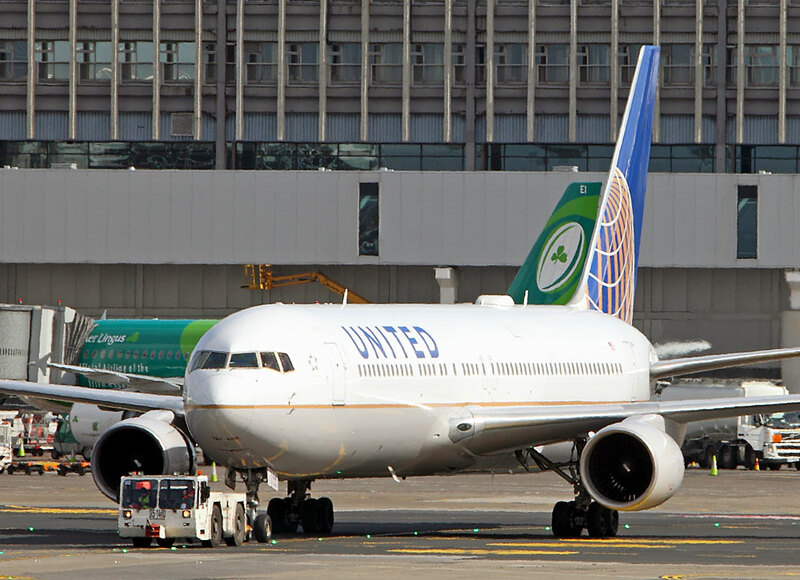 ​United Airlines Boeing 767-322(ER)(WL) N668UA went `tech`, I believe due to an issue relating to the engines` reverse thrusters. 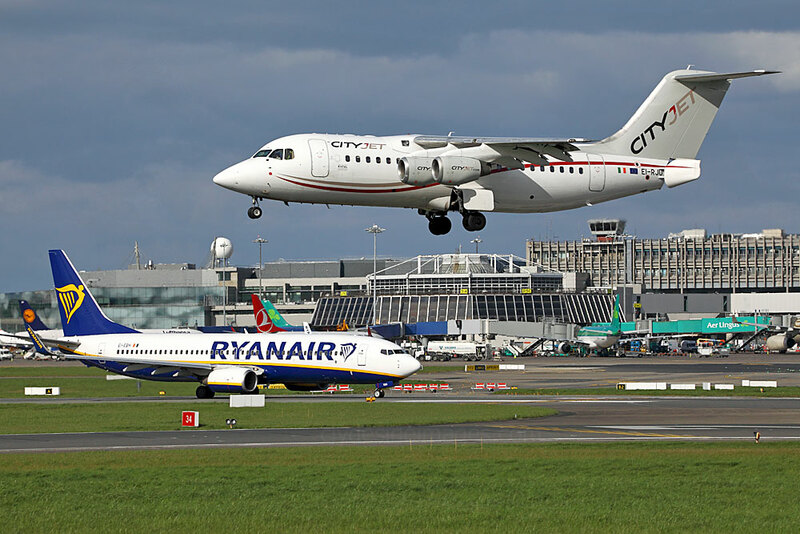 The aircraft was towed away from the terminal to a remote stand and the Fire Service stood by while engineers carried out checks. 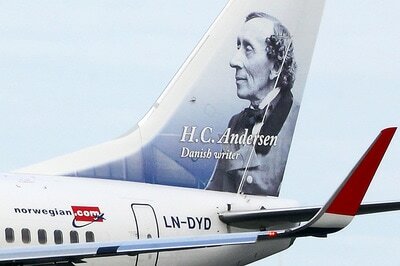 It was still there when my return flight departed at 20:20 hrs that evening. 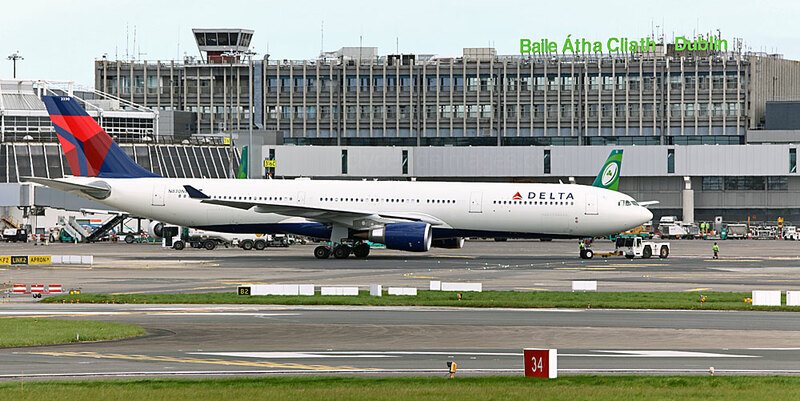 Delta Airbus A330-302 N830NW about to depart on Monday 10 April 2017. 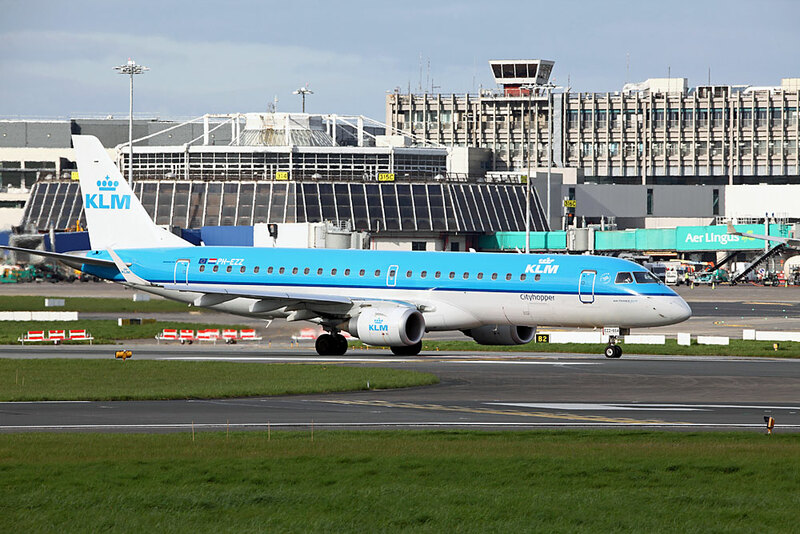 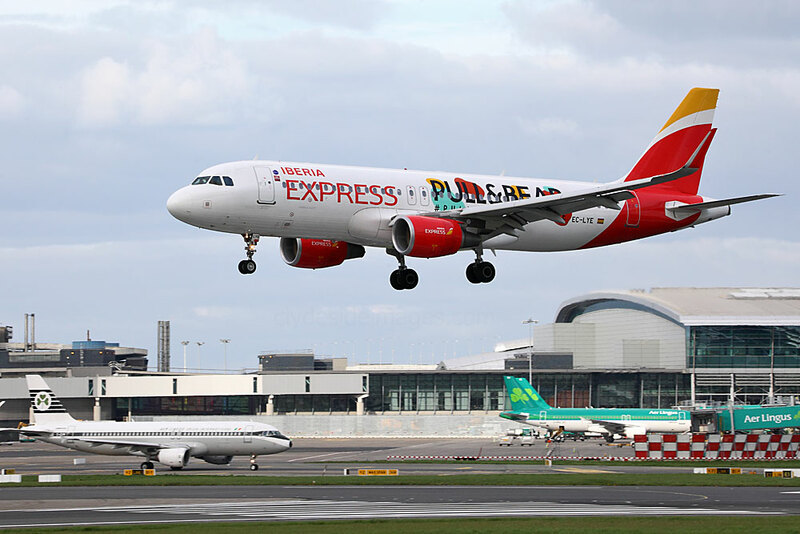 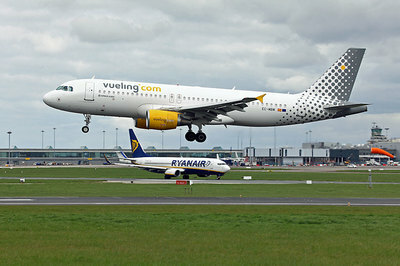 This was the aircraft`s first visit to Dublin. 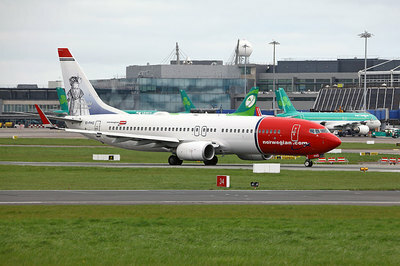 Above: This Irish-registered Boeing 737-8AS(WL) EI-EFT is a leased aircraft soon to be delivered to JeJu Air, South Korea`s first Low Cost Carrier. ​The airliner was undergoing a series of flight tests before heading east to begin operations and had its new registration HL8089 painted on a few days after this shot was taken. 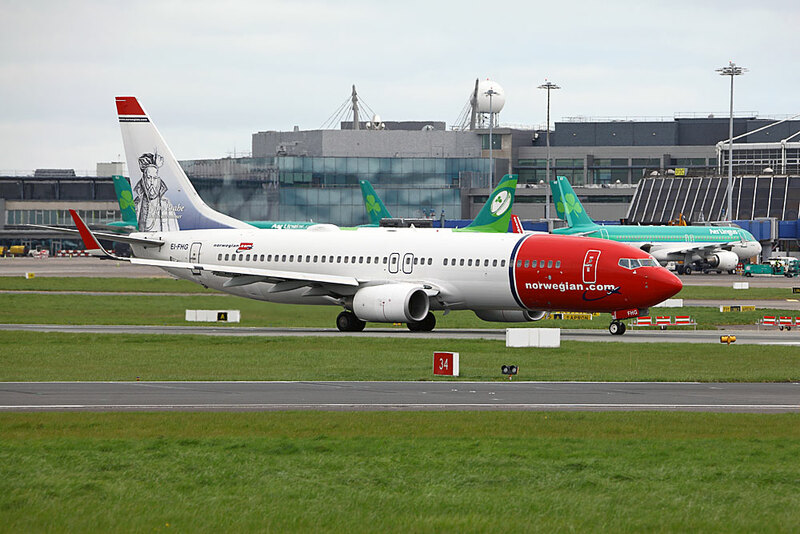 The airline takes its name from Jeju City, the principle city on Jeju Island (also known as Jejudo) which lies off the Korean Peninsula in the Korea Strait. 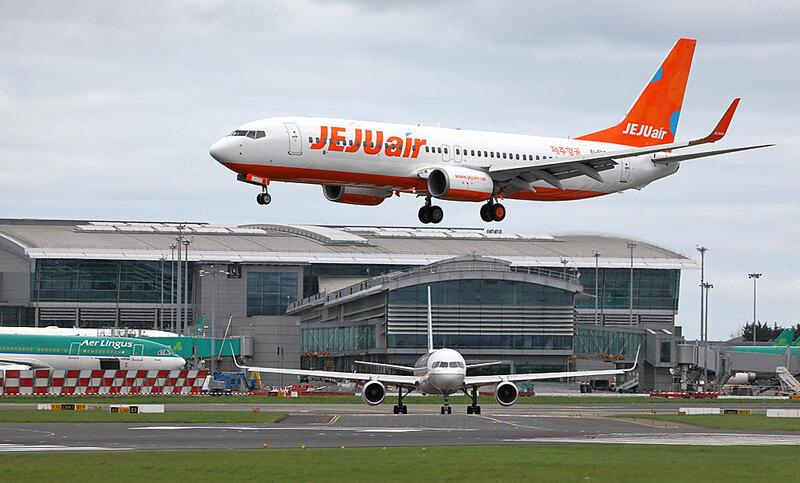 The city, where Jeju Air is based, is one of the region`s major resorts, with prestigious hotels and casinos welcoming over ten million visitors from mainland Korea, Japan, and China every year. 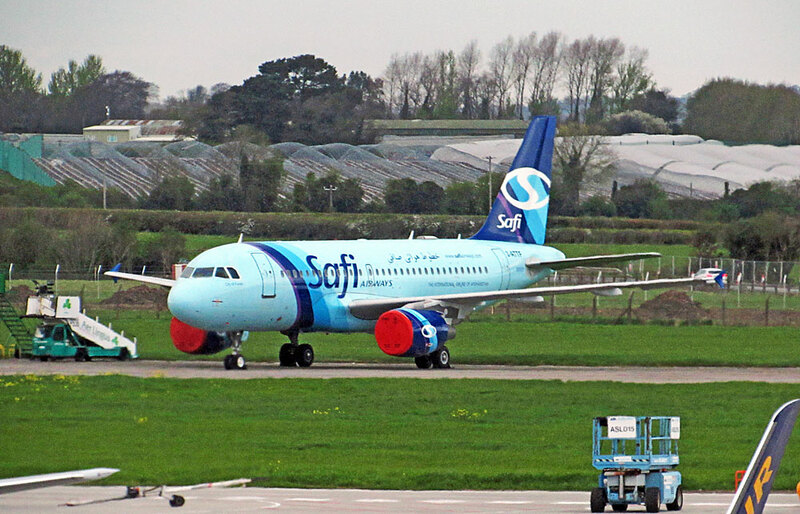 Right: Another of the rarer aircraft present was this Airbus A319-112, registration 2-ATTF of Safi Airways. 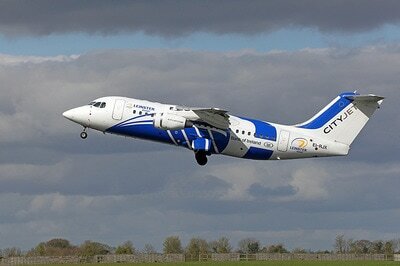 ​​Dubai and Kabul-based Safi Airways Co. is the first and largest privately owned airline from Afghanistan. 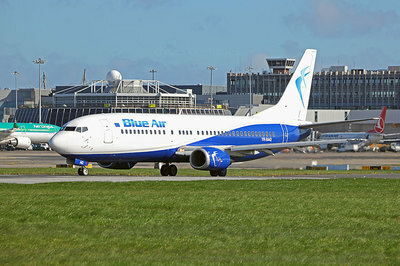 A subsidiary of the Safi Group, it was founded in 2006 and has its headquarters in Kabul. 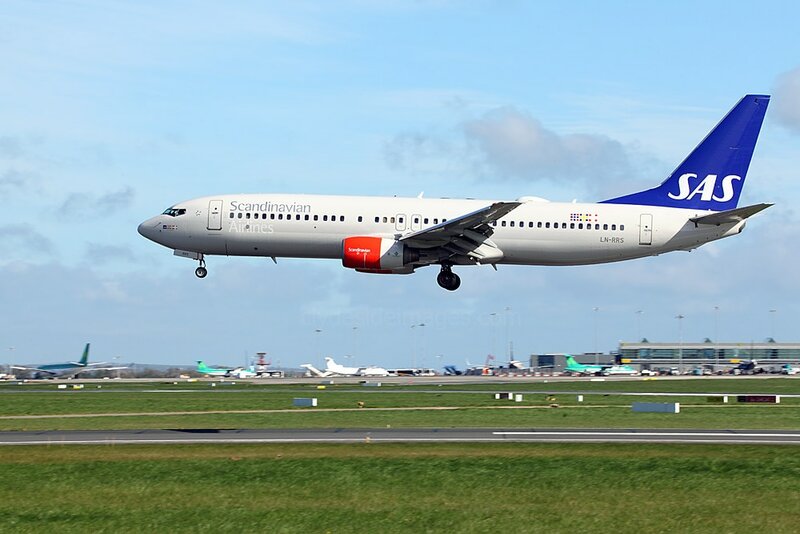 On 15 June 2009, Safi Airways commenced operations between the Afghan capital, Kabul, and Frankfurt, Germany but this service was suspended in November of the following year due to an EU ban barring all Afghan carriers from flying into Europe. 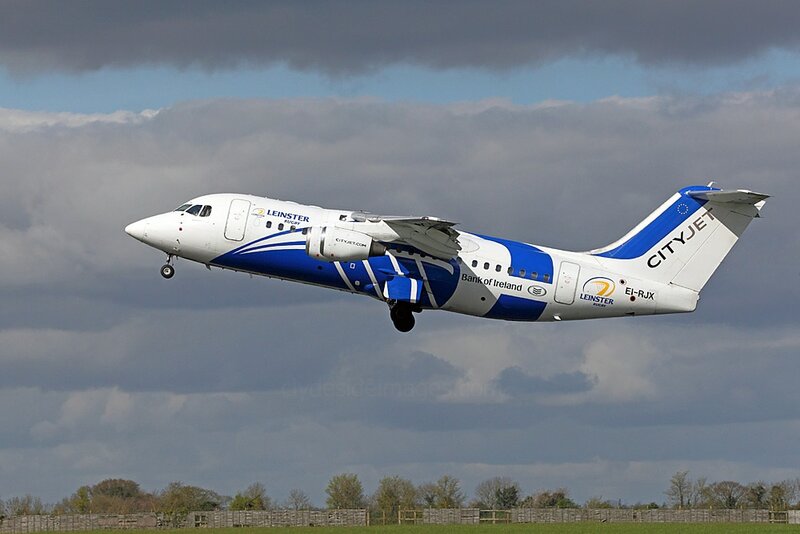 The International Civil Aviation Organization (ICAO) conducted an audit on Safi Airways in February 2012, which the airline passed; it was the first Afghan airline to qualify for a passenger airline certification. From what I can gather, this airliner, ex-YA-TTF and EI-FCG, is one of two leased A319-100s which Safi operated until recently, the other being 2-ATTE (YA-TTE / EI-FBO). 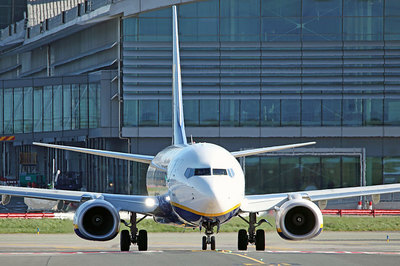 The above shot was taken from the terminal as the light began to fade. 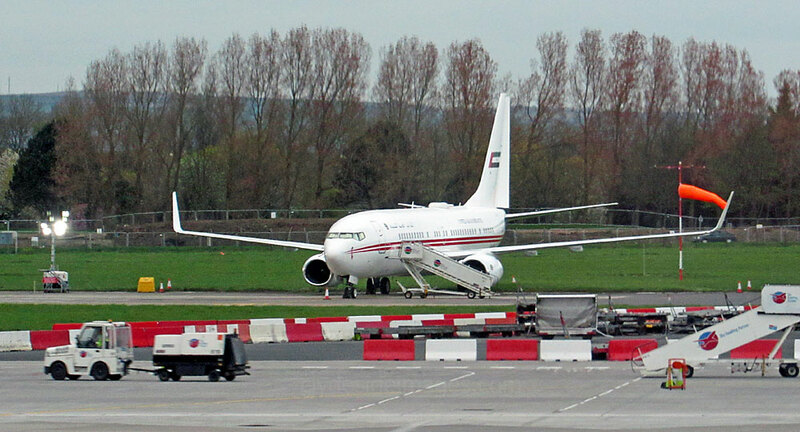 Etihad Airways A330-243 A6-EYP with Abu Dhabi Formula One Grand Prix titles arrives in the afternoon sunshine. 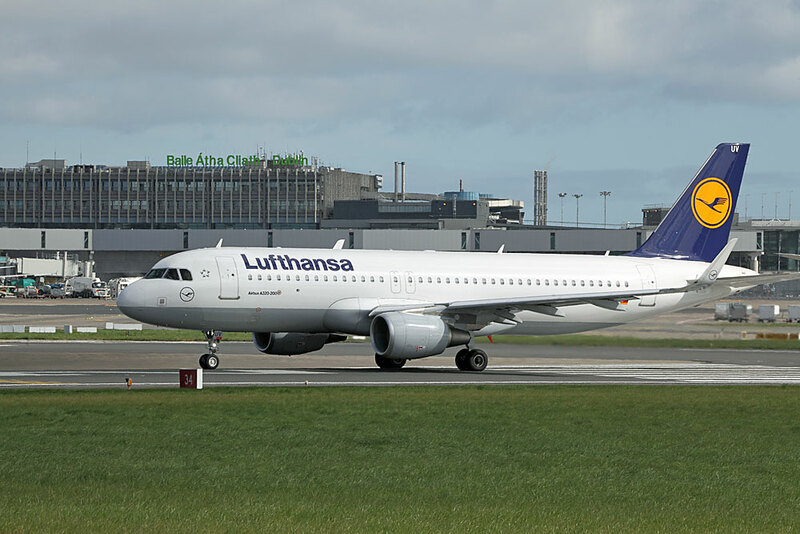 Etihad Aviation Group and Lufthansa have strengthened their partnership, announcing a $100m global catering agreement and a Memorandum of Understanding (MOU) covering aircraft maintenance, repair and overhaul (MRO). 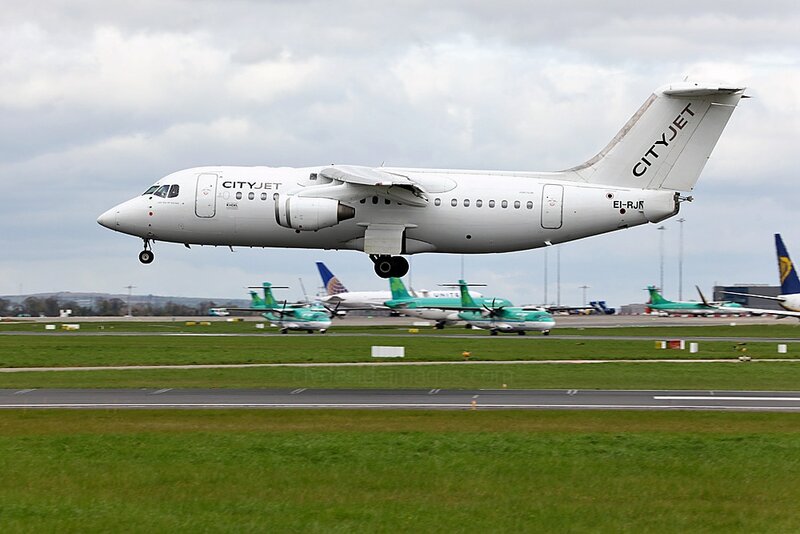 The German carrier`s LSG Sky Chefs will provide catering services to Etihad Airways in 16 cities in Europe, Asia and the Americas as part of a four-year contract. 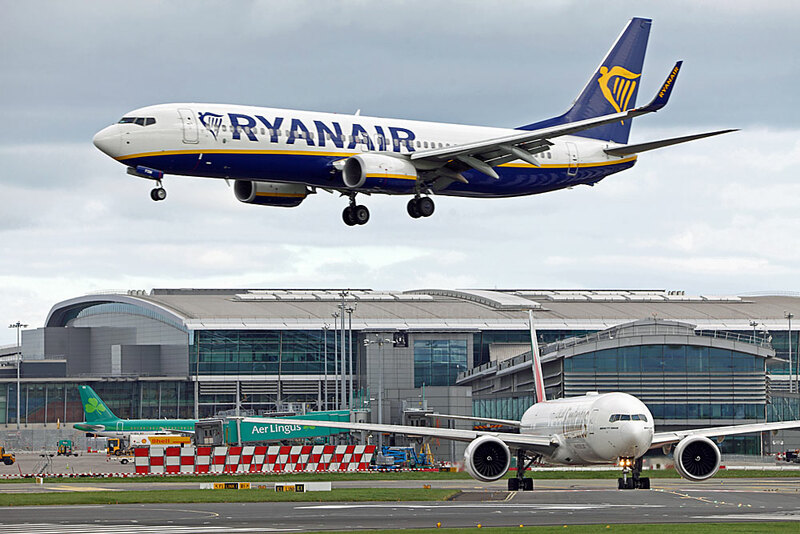 ​Other areas, including freight operations, procurement and passenger services are being reviewed with a view to further co-operation between the two major airlines. 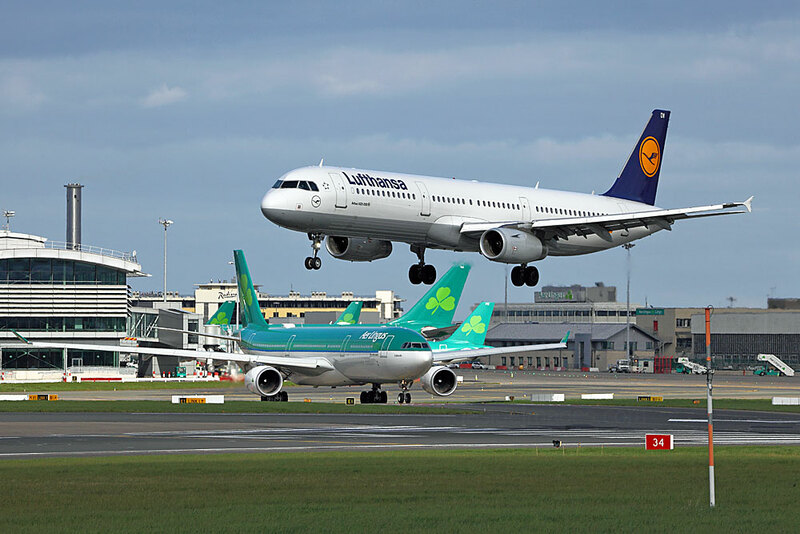 Lufthansa Airbus A321-231 D-AIDW is pictured (above right) coming in to land at Dublin during the afternoon of 10 April 2017. Boeing 737-8AJ(BBJ2 A6-HEH of the Dubai Air Wing arrived at Dublin on the morning of Sunday 9 April and stayed until 14:55 hrs on the 11th. 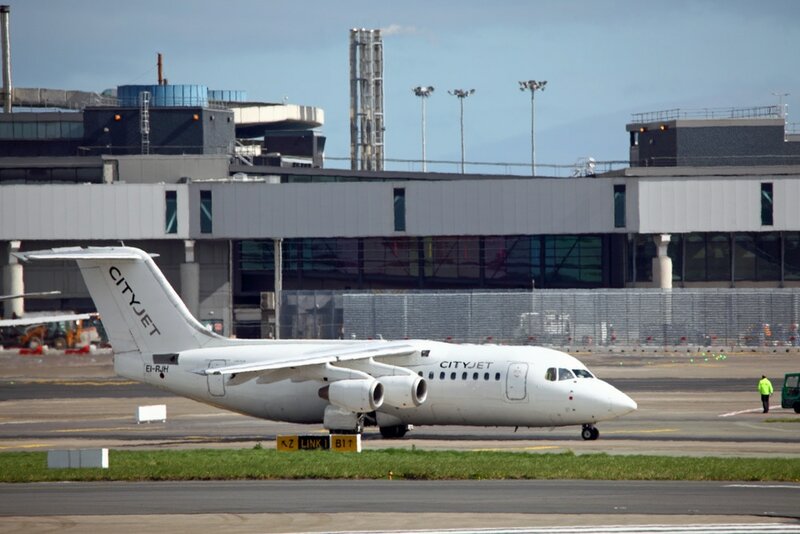 The biz-jet ramp is at the northern side of the airport and, as previously mentioned, is difficult to see from the terminal, or even if you`re in a taxiing aircraft. 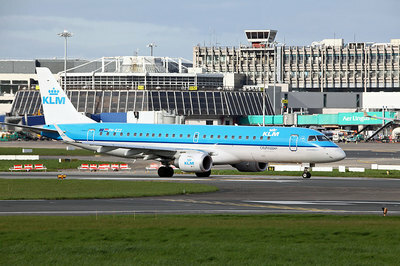 The cargo apron also lies here, to the north of the main runway, although there`s more chance of some of the parked cargo aircraft being within range of cameras fitted with a modest telephoto lens. 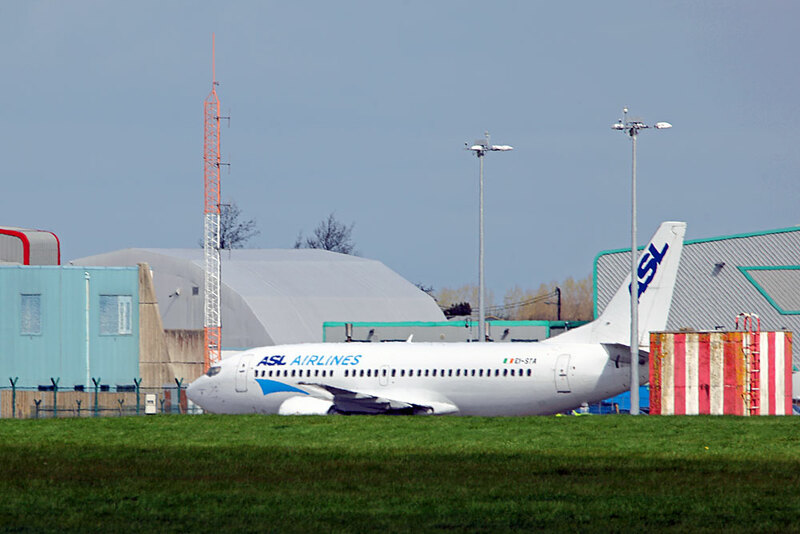 Also present, but not photographed, were Bluebird Cargo Boeing 737-476(SF) TF-BBJ, Transavia France 737 F-HTVE (f/v) and Star Air Boeing 767-25E(BDSF) OY-SRM. 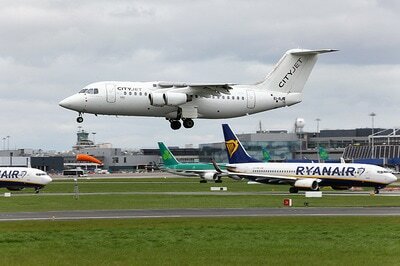 Gulfstream 450 N453FX rolling down Runway 28. The airport`s control tower is in the background.